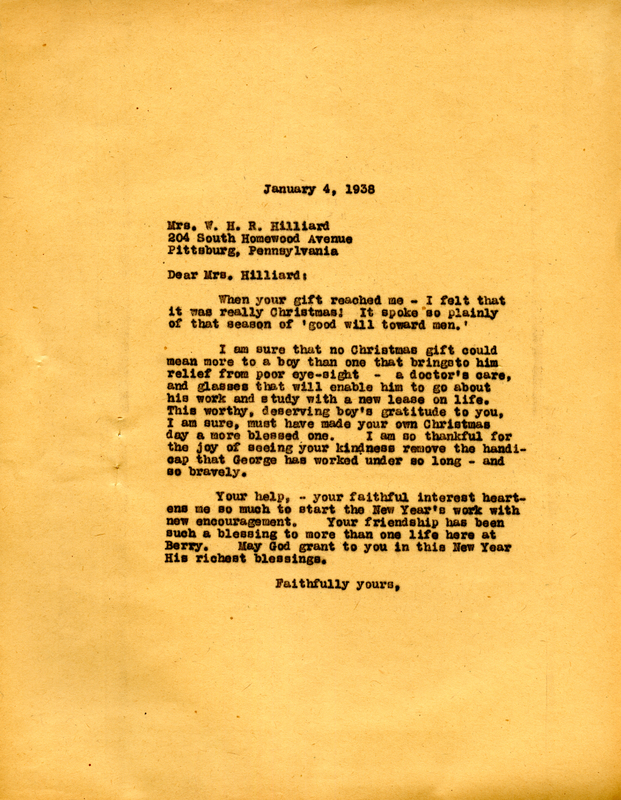 In this letter Martha Berry tells W. Hilliard that her Christmas gift exemplified the season of "good will toward men". Marrtha Berry, “Letter to W. Hilliard from Martha Berry.” Martha Berry Digital Archive. Eds. Schlitz, Stephanie A., Jordan Brannen, Jessica Hornbuckle, et al. Mount Berry: Berry College, 2016. accessed April 26, 2019, https://mbda.berry.edu/items/show/14504.